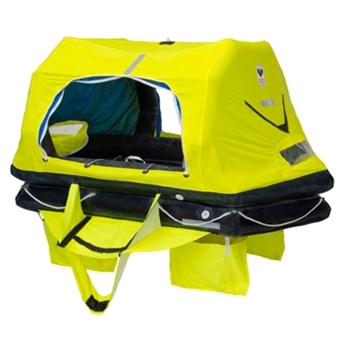 Viking RescYou Pro 4 Person Liferaft packed in either a fiberglass container or Valise. Price shown is for raft packaged in a Valise. 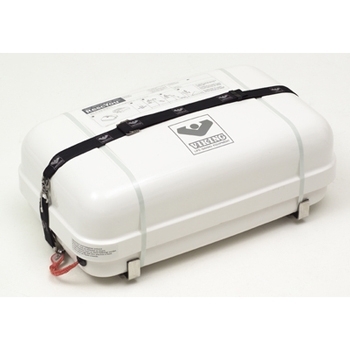 The VIKING RescYou Pro life rafts for yachting provide double security for passengers as they are equipped with two individual buoyancy chambers, each having sufficient buoyancy to carry the weight of the number of persons which the life raft is designed to accommodate. All Viking Life Rafts Must Ship to a Commercial Address. A cradle is required when mounting any liferaft in a container. Click here to view the full product datasheet. All Viking Life Rafts Must Ship to a Commercial Address. Made from a special natural rubber fabric. 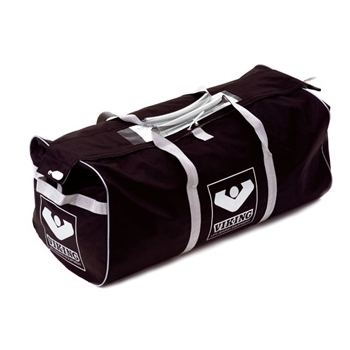 Delivered in rigid glass-fibre reinforced polyester container or nylon valise. Self-righting capability due to large, inflatable canopy arches. Inflatable boarding ramp to ease boarding from sea. Integral, double inflatable floor for protection against hypothermia. Ballast system with 4 bags containing 60 litres/15 gallon per bag. Two large entrances ensuring ease of boarding from sea and boat as well as good ventilation. Click here to view a detailed video about the Viking Liferafts. Viking Cradle with Lashing for 6/8 Person RescYou and all RescYou Pro Rafts. Required for mounting a liferaft in a container. Viking Rail Mount Adapter for a Life Raft in a Container. Requires the purchase of the correct cradle with lashing for liferaft in a container.